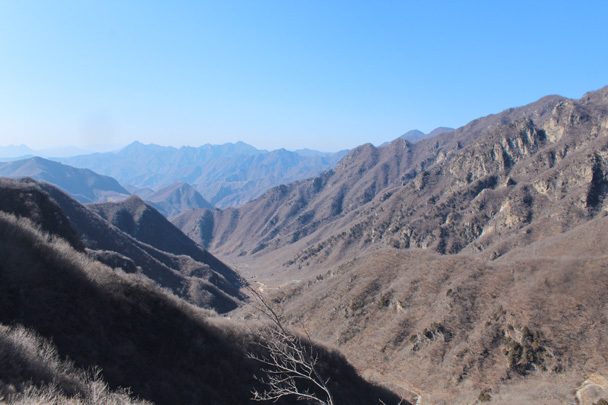 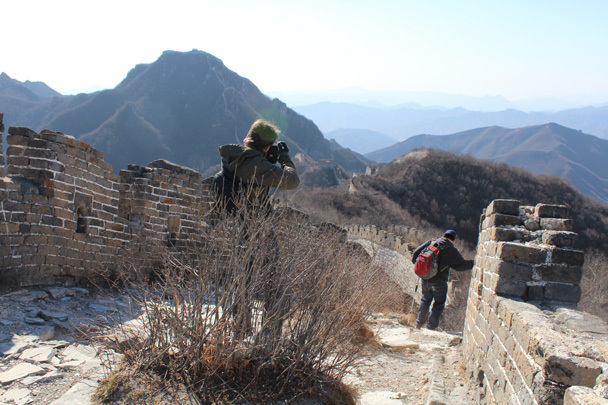 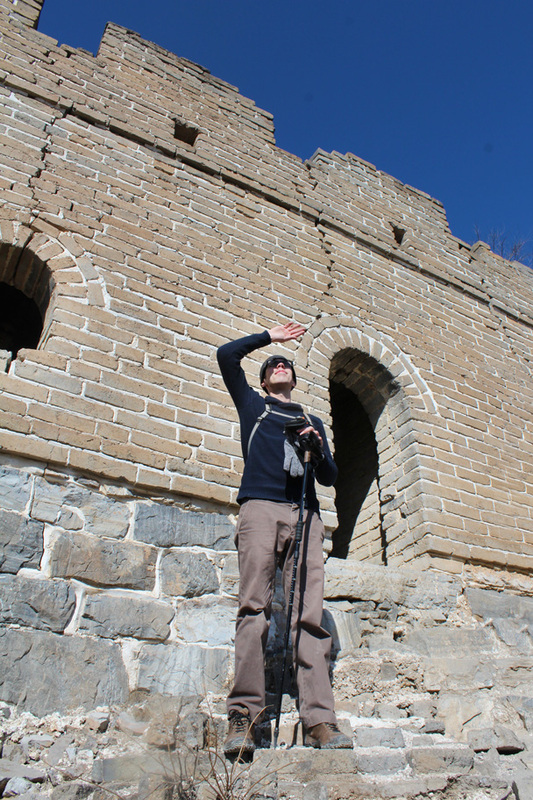 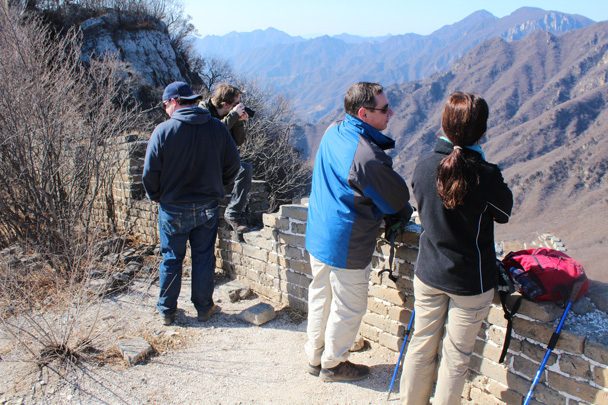 In Brief: 30+ photos from a cold day out on the Great Wall on the west side of Jiankou. 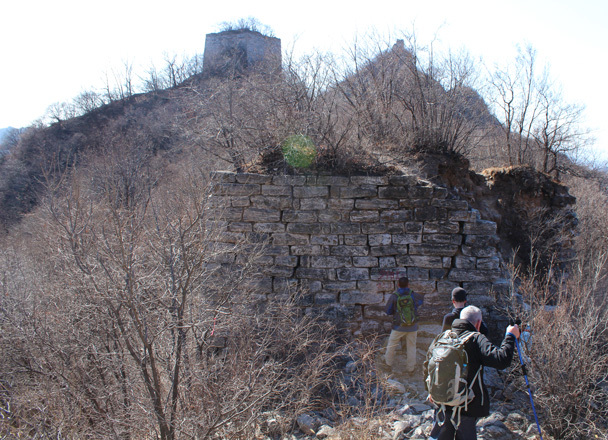 The Great Wall on the west side of Jiankou is quite a mixture—some of it totally collapsed and rough, and some of it in excellent condition despite going more than four hundred years without any repairs. 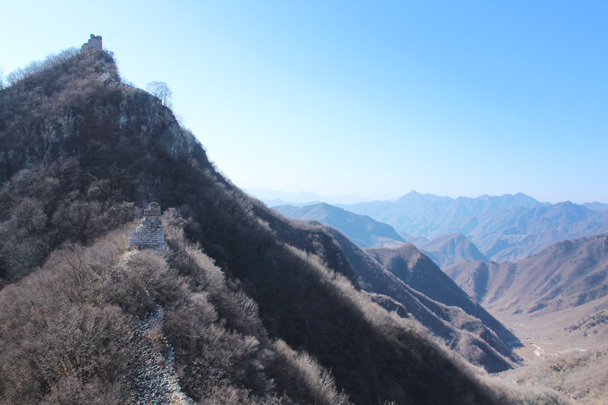 The views from up on top of the wall here are also excellent, as there’s a great deal of wall within sight in the surrounding mountains. 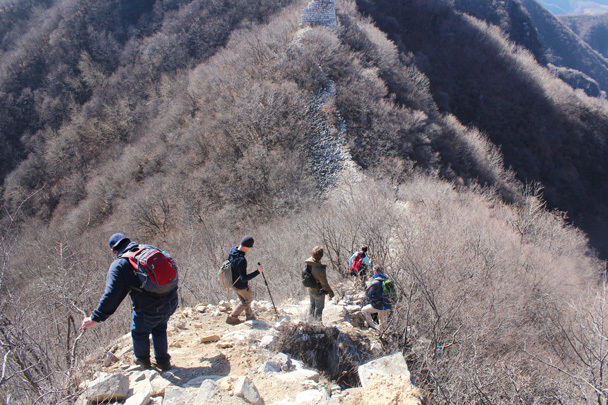 On this visit we took the long way up, hiking through forest to reach the wall at a low point. 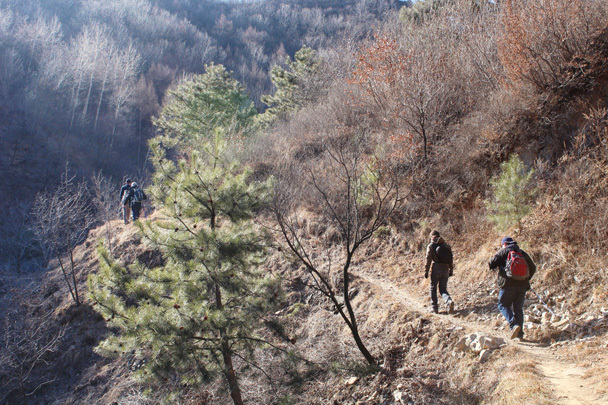 The photos below start off in forest, and then take you over the rough sections on to the solid wall at the end of the trail. 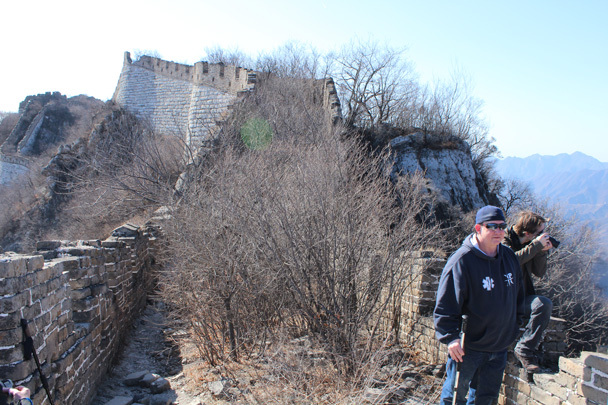 The Great Wall comes into sight, way up on a ridge. 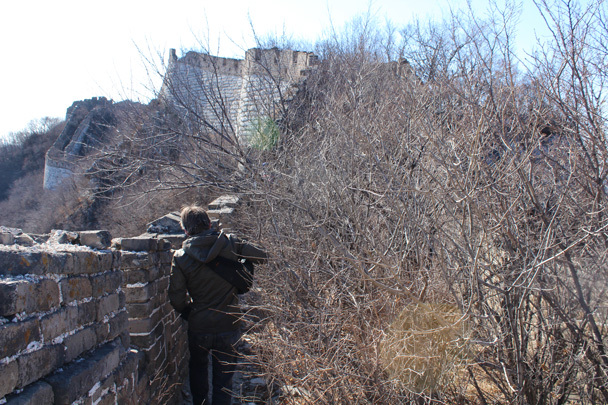 We've reached the Great Wall, at the base of a ruined tower. 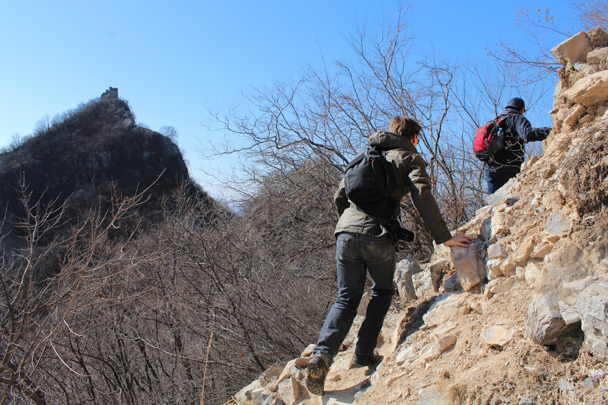 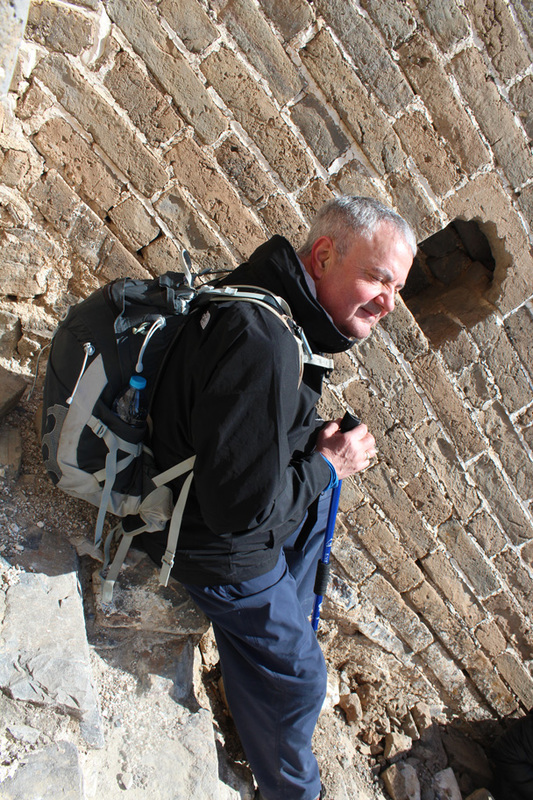 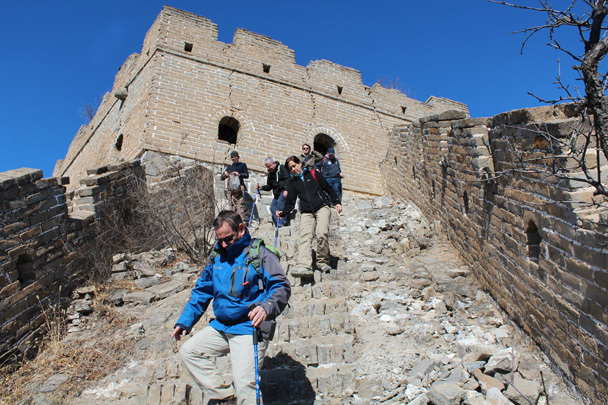 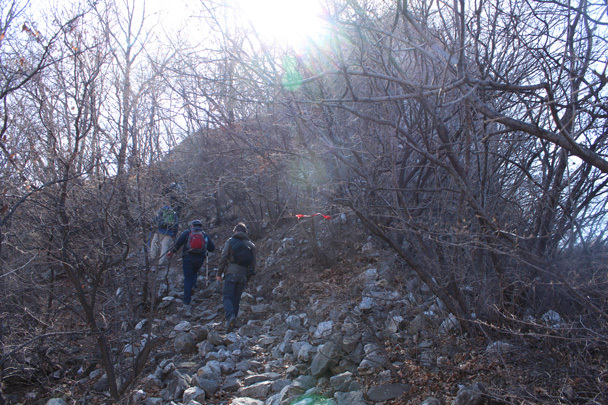 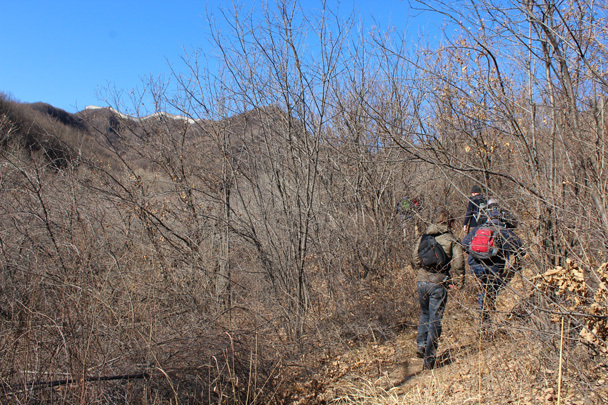 Hiking on the ruined remains of the Great Wall. 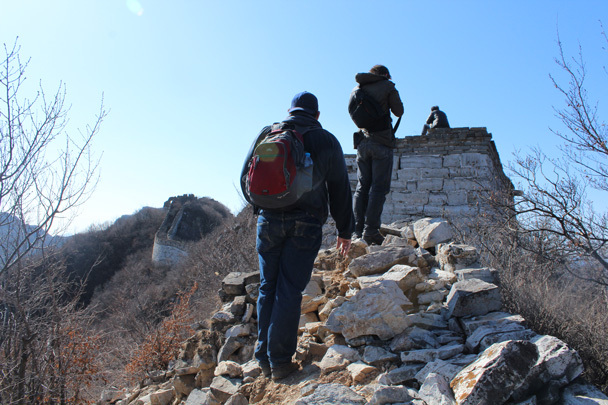 We hiked by the foundation of a tower. 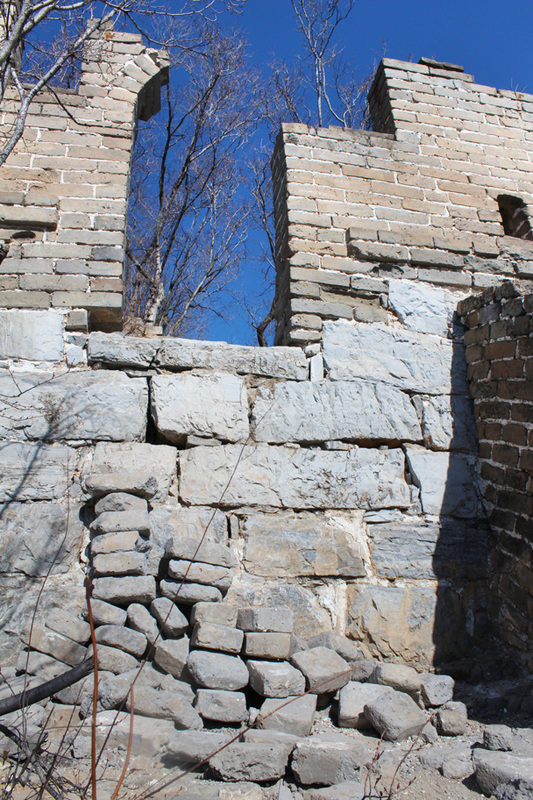 Skirting the foundation, with a tower on a cliff in the background. 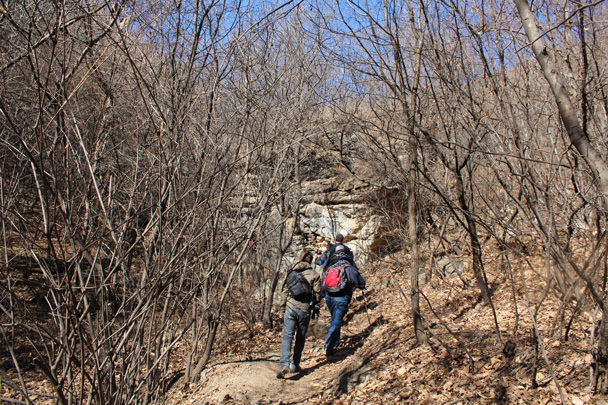 A steep trail beside the wall. 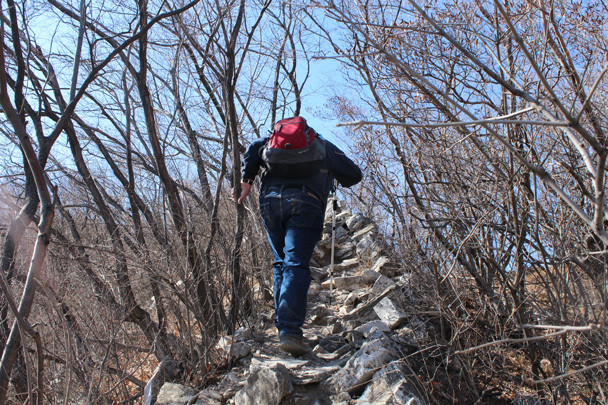 This part of the hike was on a line of wall that is mostly ruined. 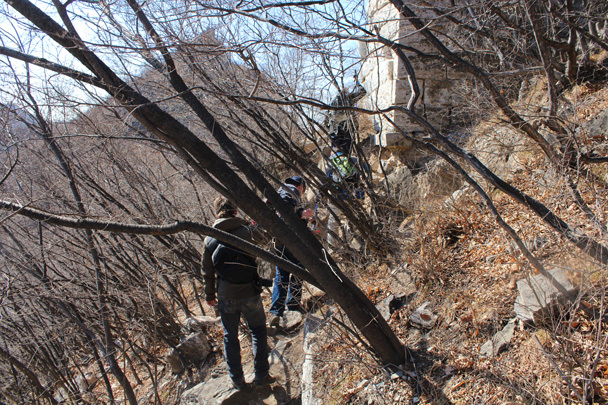 A steep and tricky section. 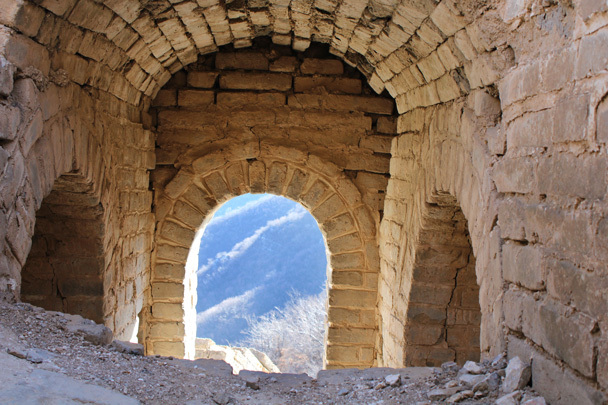 Ruined towers high in the hills. 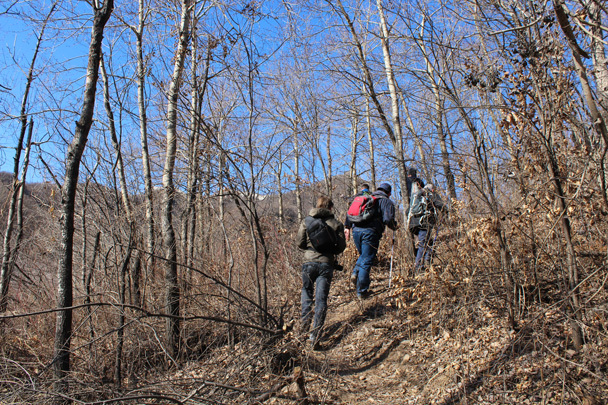 Looking back along the trail, with Nine-Eyes Tower just visible at the top of the hill. 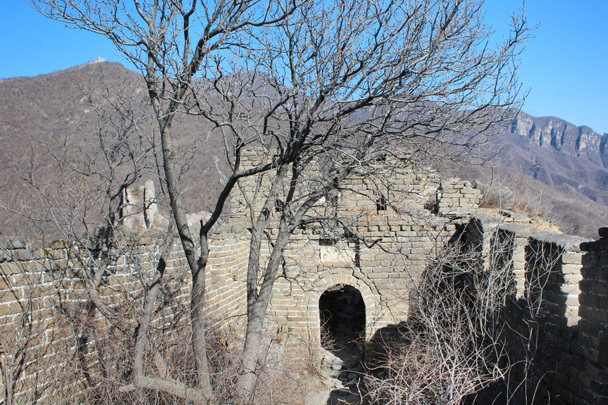 A narrow line of ruined wall covered by forest. 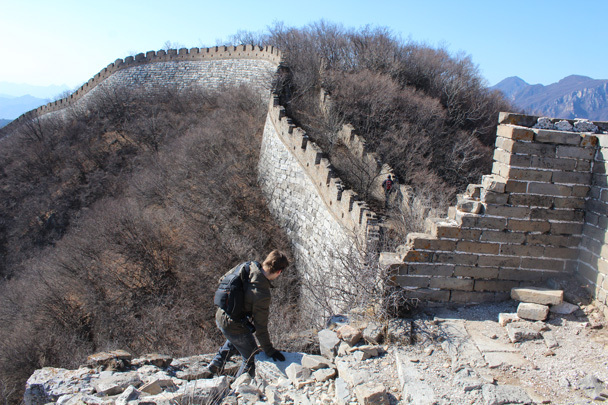 Getting on to the part of the wall that's in better condition. 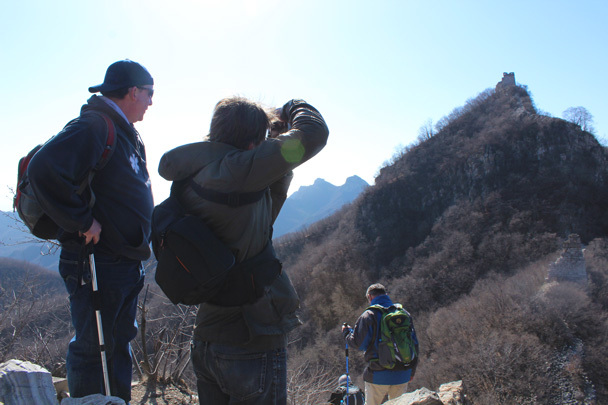 We hiked on, on top of the Great Wall. 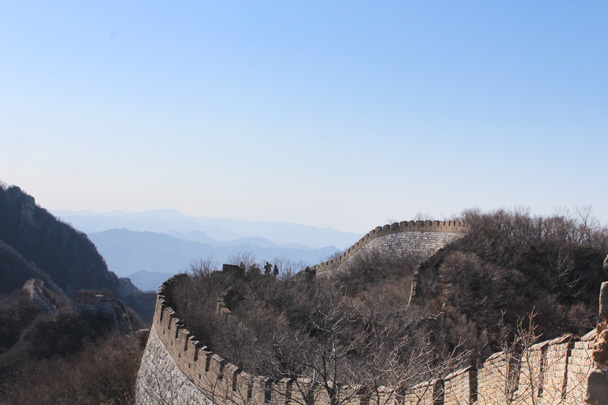 This part of the wall is topped with trees. 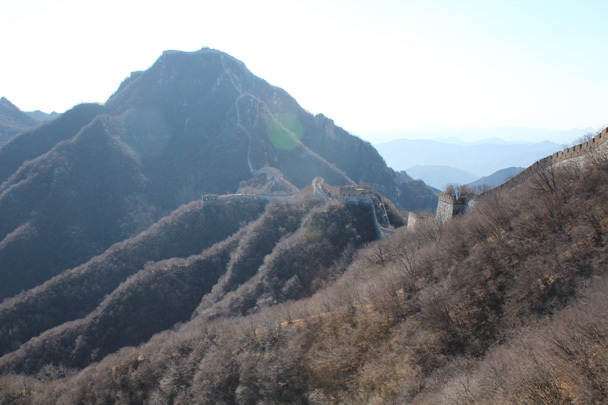 Good view of the curves in the wall here. 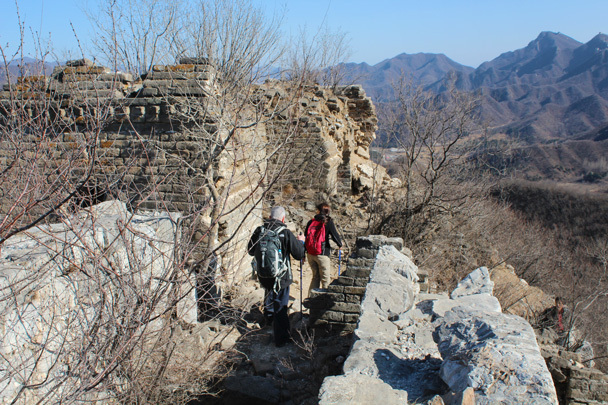 Looking towards the 'Chinese Knot' part of the wall at Jiankou. 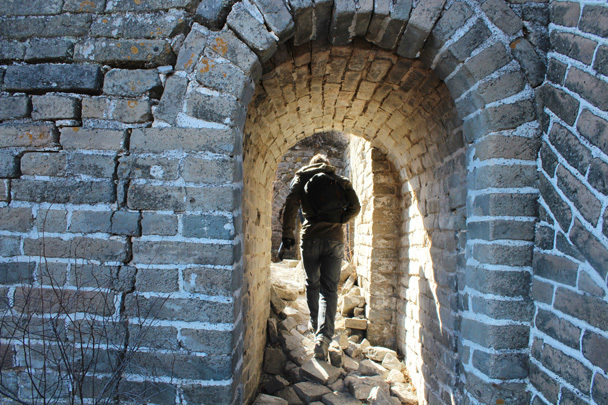 We came through the remains of a tower. 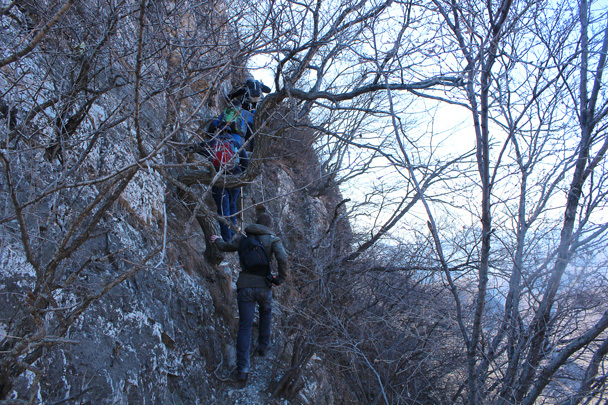 Here's a tricky bit - we had to come down this bit. 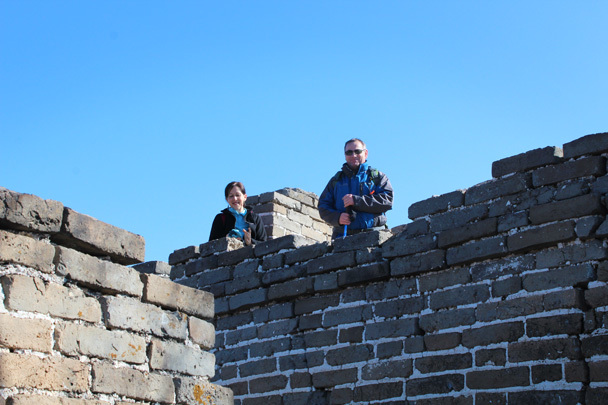 On top of a tower. 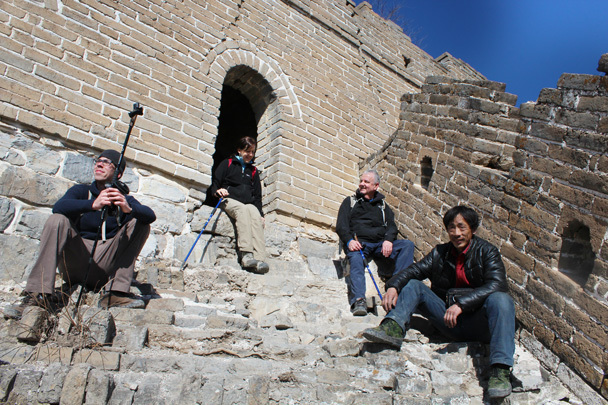 Looking up at the Chinese Knot. 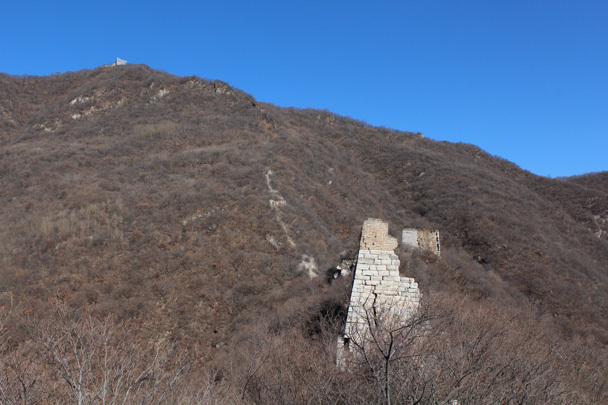 The trail down from the wall started by this tower. 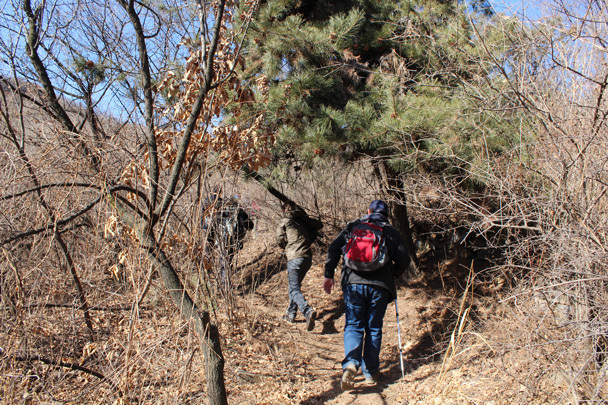 In Brief: See 14 photos from our Silver Pagoda Loop hike, a stroll through the countryside that passes by the serene site of the Silver Mountain Pagoda Forest.